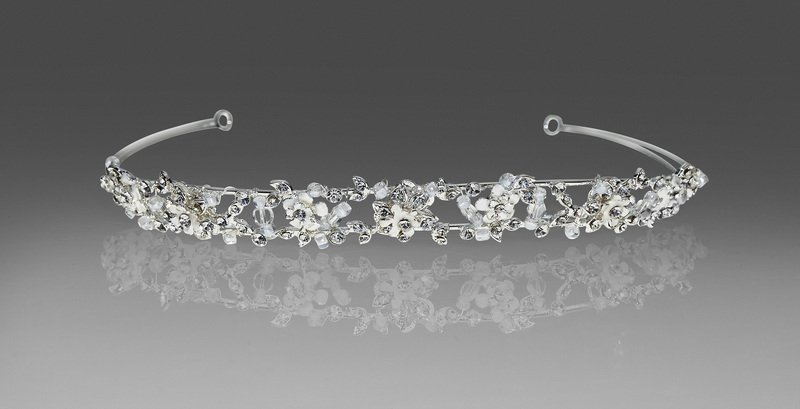 A lush tiara of clear crystal, fresh water pearls and off white pearlized porcelain flowers. 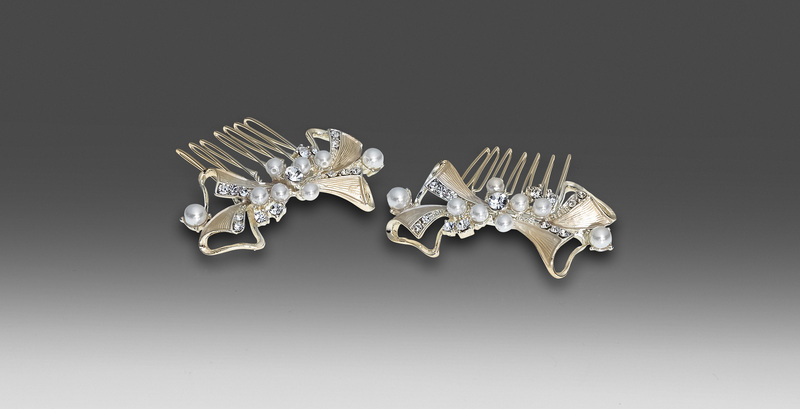 An alternative to traditional tiaras, these lovely pearlized hairpins come in a set of 2. 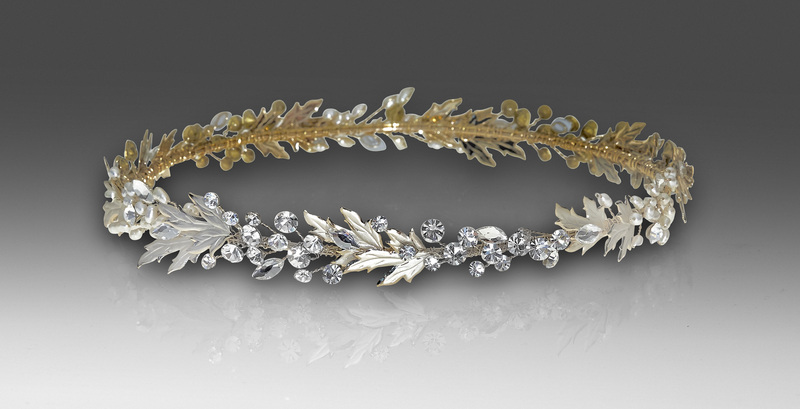 A classic tiara comprised of crystal encrusted leaves and flowers. Soft subtle peak at the center. 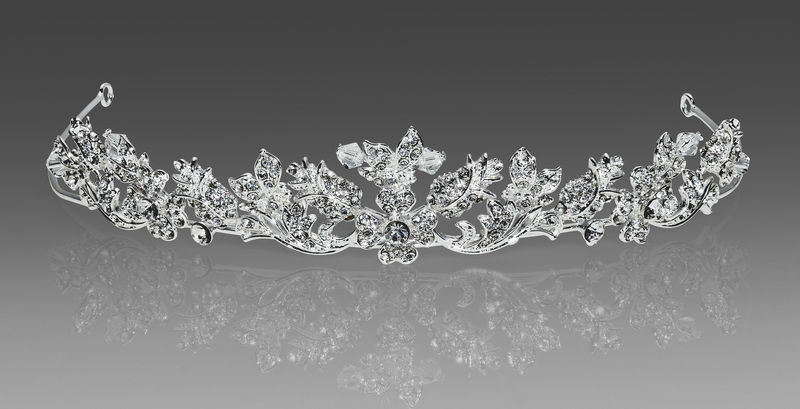 This scalloped vintage crystal crown requested by popular demand (formerly offered in gold) has arrived! Partake in the glam! 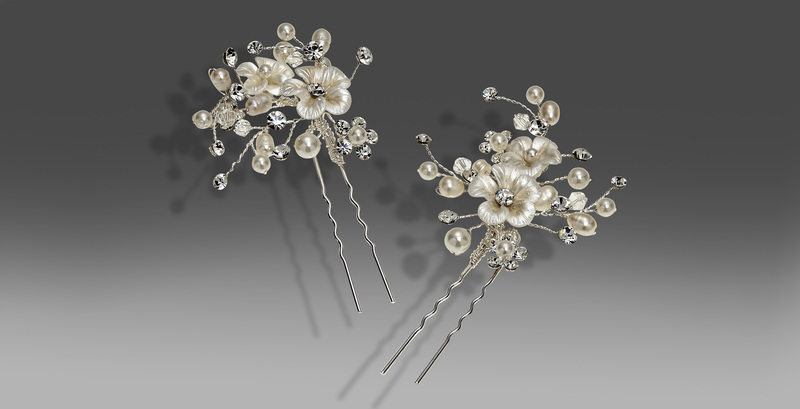 Sweet alternative to the traditional headpiece-a duet of silver and light gold tone combs with crystal and pearl accents. 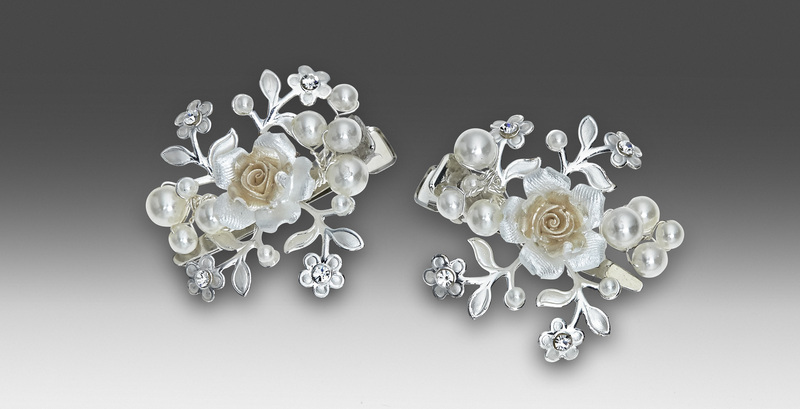 Fresh alternative to the traditional crown-a duet of petite hair clips adorned with hand painted blush porcelain flowers and white pearls. Vintage inspired halo of gold with crystals and fresh water pearls -for the princess who dares to be different. 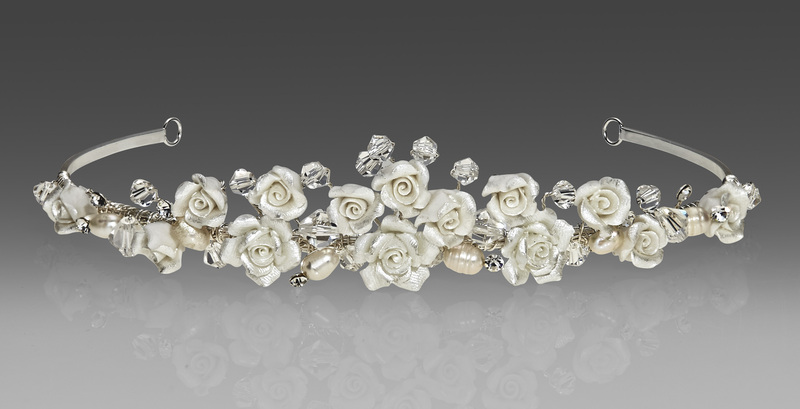 Double tiered petite crown with hand painted enamel floral accents, clear beading and rhinestones. 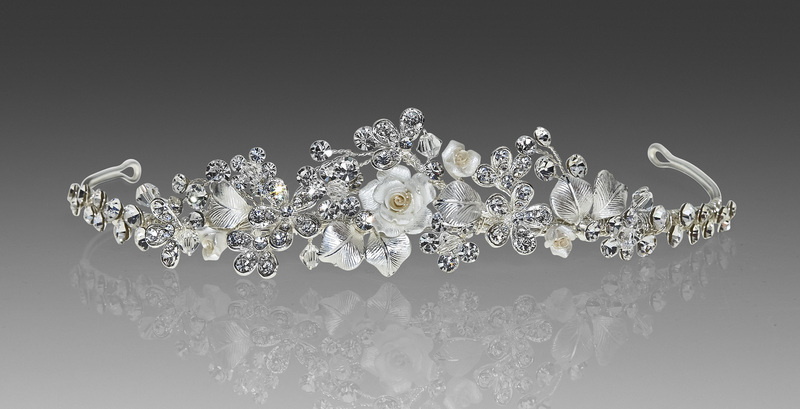 A Victorian tiara with brushed silver leaves, hand painted porcelain flowers and floral crystal accents - inspired by princesses of ages past. 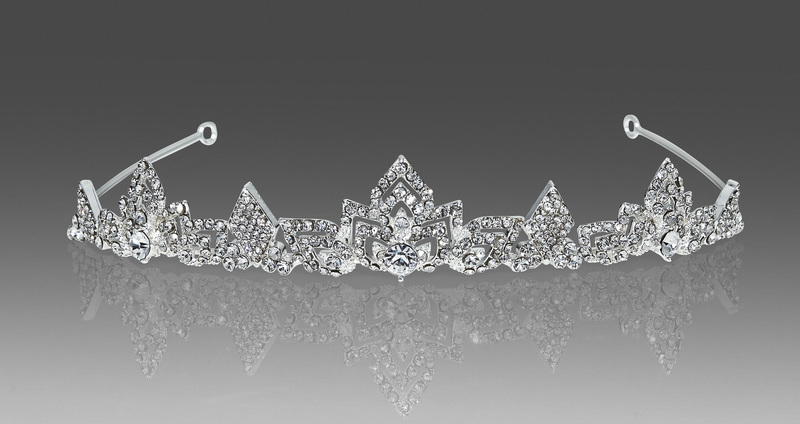 A delicate tiara with rhinestones inspired by the "art-deco era". Measuring almost 1" high at it's tallest peak. 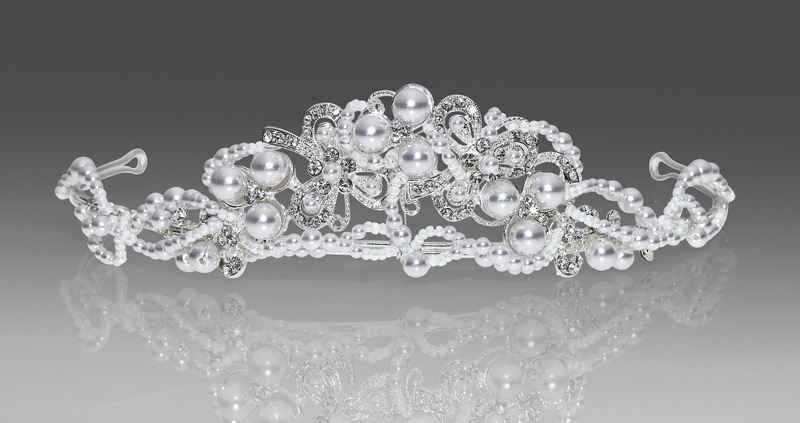 A perfect balance of white pearls and crystals in a tiara with tallest peak reaching 1" at the center. 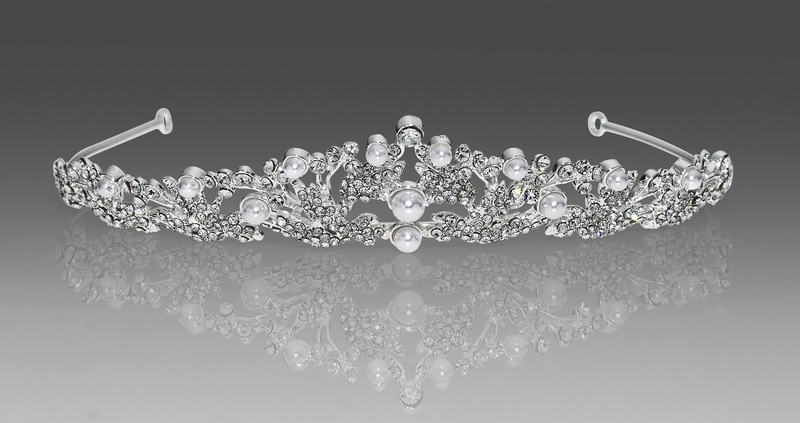 Sweet pearl tiara offers clusters of different sizes of purest white pearls and just a hint of sparkle in between.